Often the hardest part about switching to a new program is migrating your information. We built UnitWise with that in mind. You can easily import your contacts from a variety of email clients and programs. If it’s Outlook, Outlook Express, Hotmail, Gmail or Yahoo, just follow the directions in your email client to export and save a CSV file. 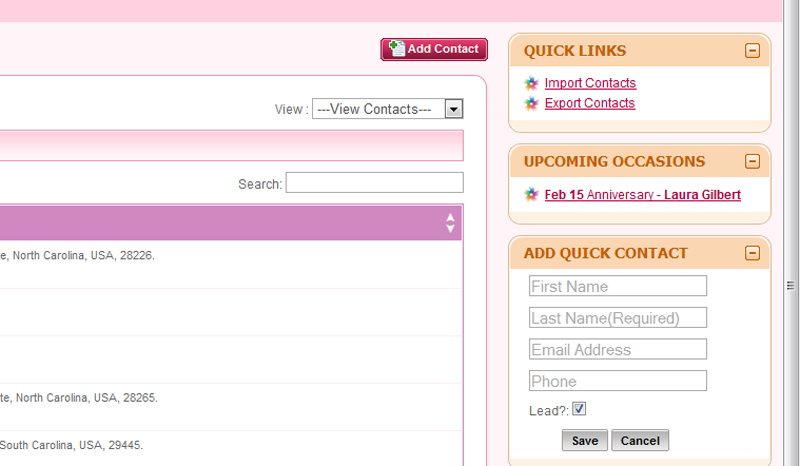 Then click on Import Contacts on the UnitWise Address Book page and select the contacts you’d like to import. Easy! You can also import your customers from your InTouch site if you’d like. If you’re using another program, we can help migrate that information too. It might take a few extra steps but we’ll help you through it–the last thing we want is for you to have to waste time with tedious data entry! This entry was posted on February 8, 2010 at 2:39 pm and is filed under Update. You can follow any responses to this entry through the RSS 2.0 feed. You can leave a response, or trackback from your own site.